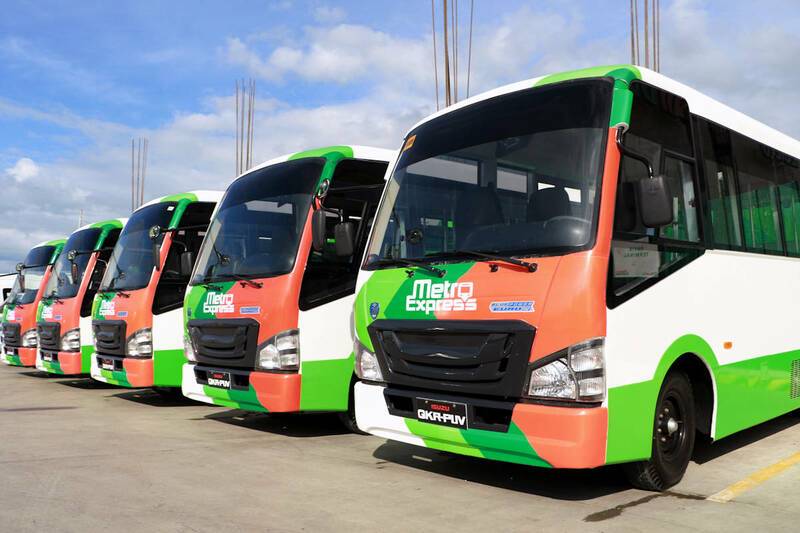 Isuzu Philippines Corporation (IPC) turned over the initial batch of 15 modernized jeepneys to Metro Express Connect Inc in Iloilo. The formal turnover ceremony, attended by Mr. Hajime Koso (President of Isuzu Phils Corp), Engr. Ric Pallesco (General Manager and President of MetroExpress Connect, Inc.), DOTr Asec. Mark de Leon, LTFRB Chairman Martin Delgra, and Villar Group founder Mr. Manny Villar, marks a significant milestone for the province, as this signals the start of the government’s Public Utility Vehicle Modernization Program (PUVMP) in Iloilo. The same modernized jeepneys that were turned over in Manila last June 18, designed and built by IPC in partnership with body builder Almazora Motors Corp, will now ply the routes serviced by Metro Express Connect Inc.
Koso added that Isuzu's modernized jeepney is also a product of the globally renowned truckmaker’s extensive experience with, and knowledge of, the Philippine commercial vehicle market, the road and driving conditions. The modernized PUVs, assembled using the Isuzu QKR77 platform and the rear body designed and manufactured by Almazora Motors Corp, are air-conditioned Class 2 PUVs with a side-facing seat configuration. The Isuzu QKR platform is assembled in the Philippines and is equipped with Euro IV-compliant 4JH1-TC Diesel Engine that delivers excellent fuel economy. The new PUV body is compliant with Philippine National Standards (PNS 2126:2017). Members and operators of Metro Express Connect, no strangers to Isuzu light commercial vehicles, chose the truck maker’s modernized jeepney primarily for the Isuzu Advantage unmatched by other modernized jeepney makers. The Isuzu Advantage includes the nationwide availability of spare parts, expert service technicians at 41 dealers across the country, and training for drivers and mechanics. “The fruitful collaboration between IPC and the wholly Filipino-owned Almazora Motors Corp ensures that Iloilo City’s commuters ride only in world-class public utility vehicles that also take into careful consideration passenger safety, comfort, and the particular locality's needs,” IPC President Hajime Koso explained.